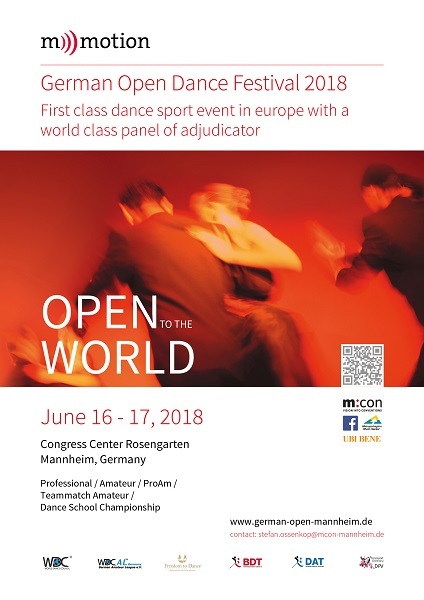 Professionals and WDC AL Amateur Germany League Modern/Standard and Latin. Join the event and reserve today your tickets for this exceptional and fascinating event! The semi-finals take place from 7.30 p.m. with live orchestra at the Mozartsaal in the context of the Gala ball. Closing for entry 05.06.2018. The regulations of the WDC are in force.